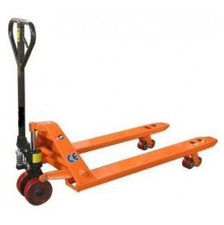 Pallet trucks are used to quickly and easily move pallets. Our trucks come in 2000kg and 2500kg weight limit loads and have three position levers for ease of use. Drum lifters are used to lift and move steel drums of various sizes. Our 1000kg weight limit drum lifter has an easy to attach mechanism making it safe and secure to transport drums. Shackles can be used for linking chains together or adding equipment to the chain as it offers a secure and strong opening and closing mechanism. Steerable skates are used to move heavy objects. Loads can be lifted by using the roller crowbar or a jack, while its turntable mechanism allows you to move the contents with ease. Chain hoists are used for lifting heavy goods, installing machinery and dragging loads, while girder trolleys are used to transport heavy goods along girder monorails. 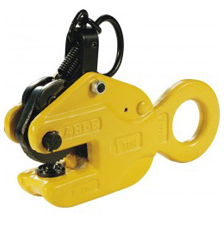 Horizontal lifting clamps are used for lifting and transporting sheet materials, steel beams and sagging plates, while the vertical lifting clamps are used for vertical lifting and turning plates over. Weld on hooks are used to add fixed anchor points where they are required, for example on vehicles, excavators, and spreader beams. 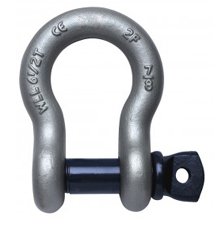 Our weld on hooks are available in 1000kg to 8000kg weight limit loads. Winches and pulleys are used for a whole range of lifting and transporting applications. 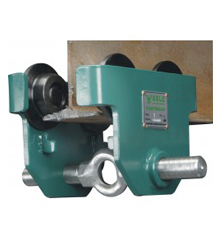 Hand pulley blocks are made to be used with steel wire rope and fibre rope and offer a weight capacity of 500kg to 6400kg. 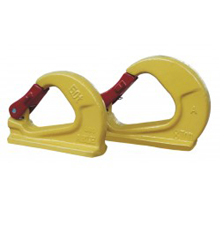 Our unshelled cable grips allow non-slip grip on wire ropes, cables and metal rods without causing damage. These are made from iron and offer a weight capacity of 500kg to 3000kg. 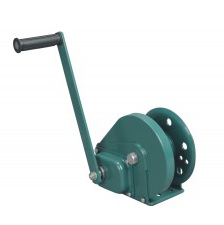 Brake hand winches are used to pull or lift loads and come offer a weight capacity of 180kg to 820kg. 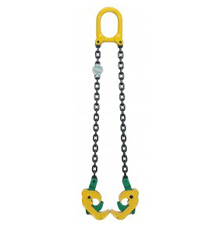 Eye bolts are used together with other lifting equipment to hoist heavy items that cannot be lifted by hand or forklift truck. 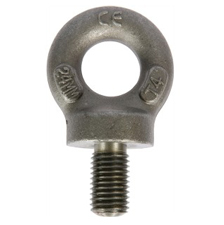 The eyebolts we offer are heat treated and made of tensile steel. 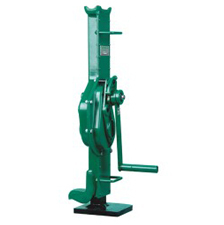 Mechanical steel jacks are used for lifting industrial applications. 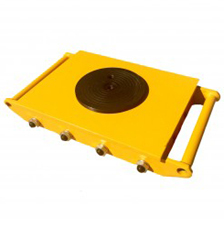 We offer steel jacks with a weight range limit of 1500kg to 20,000kg. If you need more information about any of our hoisting and material handling products then you can contact us here.